A picture is worth a thousand words. Using a photo with you and your dog, kids or spouse doesn't cut it for your social profile photo. Creating your personal brand is just as important as your corporate brand. So unless you are an award-winning dog breeder, trainer or groomer, having a profile picture of you and your dog just doesn't cut it. The same goes for a photo with you and your children, or your spouse. What is worse yet is having a profile picture of the infamous 'egg' on twitter or the silhouette on other social platforms. Do you know how many people won't follow you if you do not have a photo? According to HubSpot Twitter accounts with a profile photo have 10 times more follows than those without. Yikes! if you're looking for a job with a crazy picture of yourself on your LinkedIn profile - you do have a LinkedIn profile don't you? Action Step! Get a professional photo taken now! 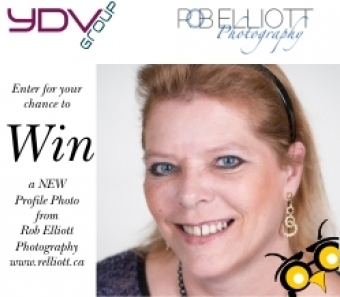 The final week of the contest we will offer an office shoot for up to 5 people - watch for details of this one. 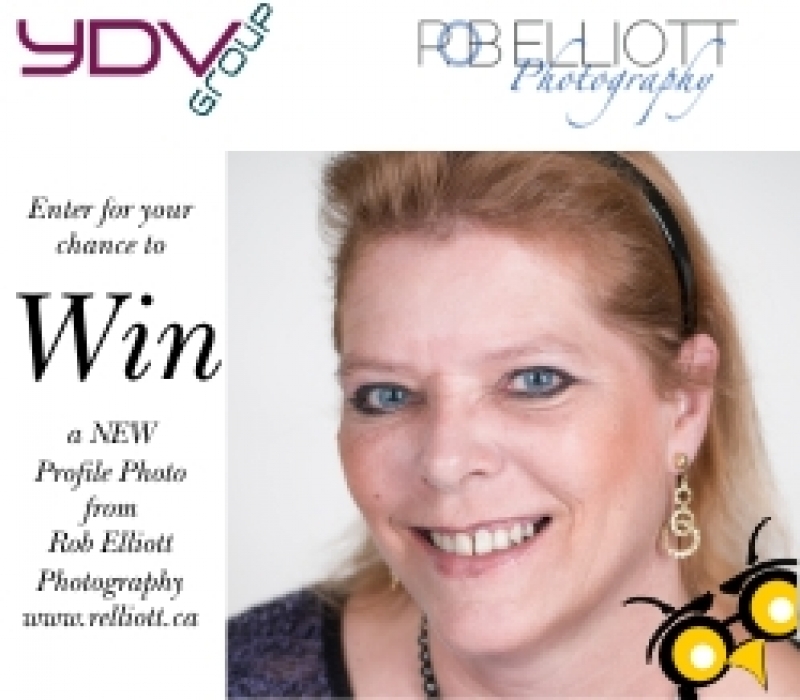 Winners of the weekly contest must allow PRowl Communications and Rob Elliott Photography use of their finished photo for promotional purposes. I would also like to thank Debi Katsmar from the Ottawa Motorcycle Show for all her hard work and patience in helping those participating in the show deal with whatever issues came up. She remained a true lady of grace while making it happen. Debi you are a true lady of grace!